Latvian mezzo soprano Tina Gelnere had her first operatic experience in 2004 in Britten's 'Noah's Flood' at the Latvian National Opera. She has performed several operatic roles including Pamina in 'The Magic Flute', Cherubino in 'The Marriage of Figaro', Police Sergeant in 'The Pirates of Penzance' and Casilda in 'The Gondoliers'. In February 2018 she performed with Minotaur Opera singing Conversa and Seconda Cercatrice in Puccini's 'Suor Angelica' in Heraklion, Crete. Tina recently recorded the soundtrack for Rick Stein's new BBC cookery programme airing in 2019. She also performs regularly in recitals and as a soloist collaborating with choral societies. 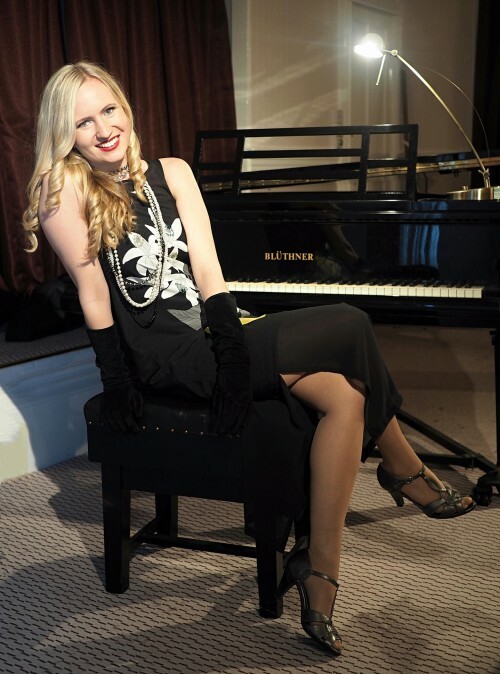 She studied singing at the Riga Dome Choir School and the University of Chichester, and is currently studying on the post graduate opera course at the Royal Welsh College of Music and Drama. Originally from Essex, Ryan Williams is currently a member of the prestigious Royal Academy Opera School, having completed his Masters in Performance at the Royal Academy of Music under the tutelage of Ryland Davies and Iain Ledingham. After graduating from Chichester University, Ryan spent two years on the choral scholarship scheme at Portsmouth Cathedral, and his choral highlights include being a member of the inaugural Voces8 Scholarship programme, working with the Gabrieli Consort, The Kings Consort and being a member of the Philharmonia Chorus. 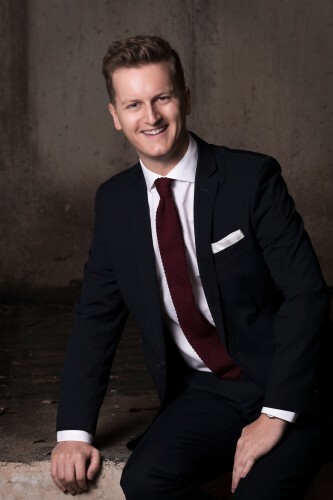 As a soloist Ryan has performed many Oratorio works such as Handel 'Messiah', Dvorak 'Stabat Mater', Mozart 'Requiem', Haydn 'Nelson Mass', and Mendelssohn 'Lauda Sion'. In 2015 Ryan was a member of the Glyndebourne Opera Academy under Mary King, which inspired his passion for opera. Ryan's operatic roles include Acis and Tamino as well as selections of Faust and L'Elisir d'Amore in the Royal Academy of Music's Opera Scenes. Ryan is generously supported by the Josephine Baker Trust. Chris Coote started playing the piano at the age of four, and performing from the age of eleven, mainly to captive audiences in old peoples homes. He has attended master classes for many years at Morley College under Martino Tirimo and Gwenneth Pryor, and was taught by Jean Anderson and Fiona Cameron, both retired professors from the Royal Academy of Music. Never having taken a piano exam previously, he decided to prove to his three musical children that he could play by gaining a performance LTCL in 2005. Since retiring fully from professional life as an actuary in 2013, a replacement career has opened up, and he now performs regularly as a soloist and collaborative pianist. He is chairman of the Bognor Regis Music Club, treasurer of the Funtington Music Group, and accompanies services at Chichester Baptist Church and other local churches.